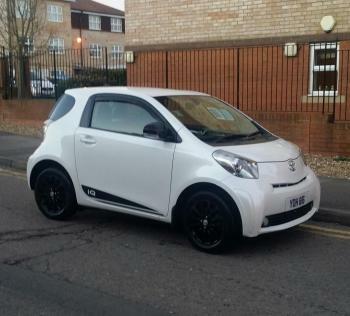 I'm thinking of chopping in my IQ2 for a low mileage 2014 (14 or 64 reg) IQ3 multidrive with FTSH. Only problem is, I can't find one. Anyone got any leads on where I can find one. 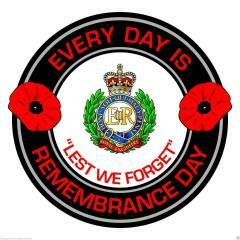 Nothing on auto trader, ebay nor Toyota. Yeah, possible needle in a haystack. 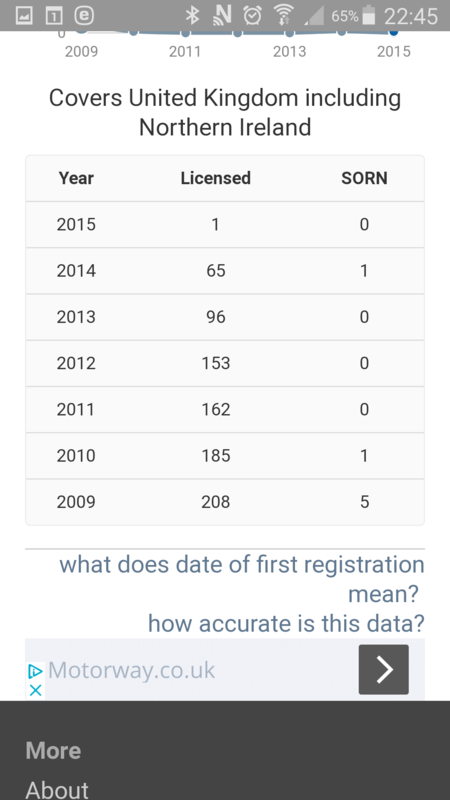 Had looked on "How many left", there was also surprisingly 1 registered in 2015. I've got a 2014 IQ2 multidrive with 40k miles on extended warranty that I've had from new. If they still made the IQ I'd be buying another one in a heartbeat so next nest thing is low mileage on the bigger engine model. There's nothing else for sale that I like at the moment. Have test driven an auto Aygo which was horribly jerky and also on a very cheap platform. If nothing turns up I'll keep mine for another 2 years. The Aygo, built by the Joint Venture between Toyota and PSA, shares its platform with the PSA twins, C1 and 108, and is designed to span a broader range than the IQ. The 'auto' gearbox is also different to the IQ, being a manual gearbox with automated clutch, rather than a CVT. The IQ was dropped in European markets early 2014 due to low sales volumes, and because approaching EU regulations required significant alterations, which weren't viable due to the low volumes. After March 2014, UK sales were from stock only. For example during its life on the UK market (2008-2015), the IQ sold 20,222 of all versions, whereas the Aygo sold 234,926 (2005-2018) - equating to an average of 18,071 per year. It was also dropped from the US market the following year due to low sales. Thanks for your reply and aware of everything you've said. The Aygo is such a cheap and poor car. Not being made in Japan is a major turn off. 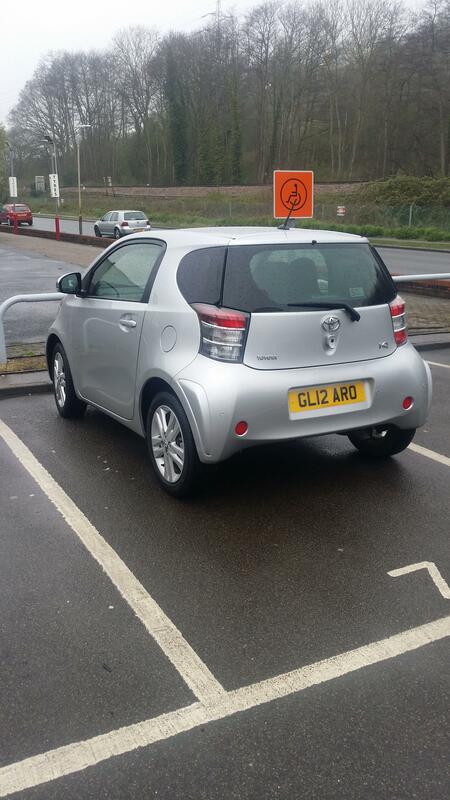 My IQ2 was a pre-reg from April 14 that sat in a Toyota GB compound for 4 months till i bought it in August 14. I got a £4k discount on it. Of Toyota GB's current range, only the Camry, GT86 (built by Subaru), Land Cruiser and Rav4 are made in Japan. 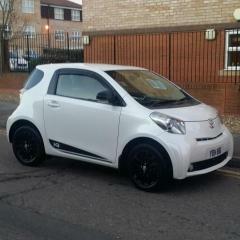 Would you consider a 13 plate IQ3 ?. Ideally want 14/64 plate with under 20k miles. Want to be able to extend the manufacturers warranty. Want to be able to extend﻿ ﻿the manufacturers﻿ warranty﻿﻿﻿﻿. Thanks for that, wasn't aware. I assumed it was only doable after the 5 year warranty expired. 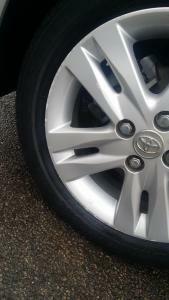 I'll speak to Toyota later when I pick mine up from service. Thanks for your reply and aware of everything you've said. The Aygo is such a cheap and poor car. It's a car made to a price. The main reason that the IQ didn't sell well was price - for the same money buyers could get a larger car. People just didn't seem willing to pay for the quality/value package of the IQ. I see that 1 of the auto websites has just in the last week named the IQ as it's top used car ( surprisingly though the Yaris didn't figure in the top 10 & it is usually considered as 1 of the most reliable cars that you can buy). Went to look at a 2012 IQ3 today which had only 8k mls. Silver, red leather and urban pack for £7995!! Looked at it because it had such low mileage although i ideally want a 2014. It was a 1 owner car but big issue was 2017 and 2018 services hadn't been done. Dealer tried to say it didn't matter but on a car for top top money i felt it did. They admitted that if mine had not had FSH they would've offered me less so that ruined their point. This one caught my eye liked the leather but no satnav i couldn't cope with the standard cd radio for £7k i would expect them to sort out that wheel! Which one caught your eye, the one i mentioned or another? The one I saw was £7995.... now sold as no longer on auto trader. Was a dear car considering it had two services missing on service history. Mine has 103K on the clock and its the most reliable car I've had i have it serviced every 10k, looking to replace but for what? Toyota we need a better small car the Aygo is just cheap and the Yaris isn't much better. I'm in same boat. Mine has done 41k mls since I got it new and is so reliable. Had a brand new Aygo for 4 days last week when Toyota had IQ for service, it was a horrible car to drive...shockingly cheap. A Yaris is too big for my needs. I'm stick between keeping mine long term or buying what I've mentioned at the start of this thread. The problem for Toyota is that people weren't buying the IQ due to the high cost, which is mainly why it failed in both the US and Europe. Also the IQ needed expensive engineering alterations to meet forthcoming legislation. Whereas, the Aygo does sell and for the past six years or so has been Toyota GB's second best selling model behind the Yaris. However, without a partner to share development with, it is unlikely a city car would be viable enough for Toyota to go it alone. An interesting recent development is, as part of the recently announced co-operation, that Toyota will be using and building Suzuki's new engine for their compact models (presumably Aygo and Yaris replacements). So is a Suzuki/Toyota developed city car on the cards for the future? 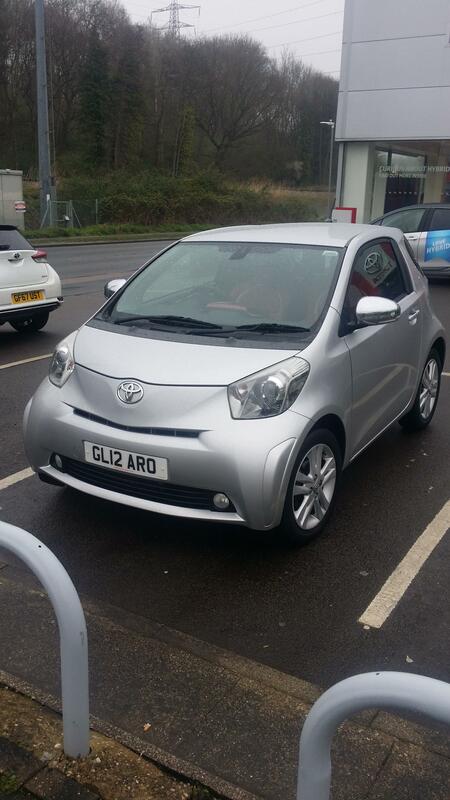 - especially as Toyota now solely owns the Joint Venture plant that builds the Aygo/C1/108. Id be interested in a toyota Jimny with a fuel efficient engine! Back in 2009, the Aygo list price started at £8,400, and the IQ3 was £13,100 (£14,100 for the IQ3 Multidrive). By comparison the Yaris 1.33 T-Spirit 3 door (then the highest spec) was £13,335. All cars are built to a budget, just that some budgets are higher than others. I went from a 2010 iQ3 multidrive to a 2014 Aygo x-clusiv x-shift and other than missing a few tech features, relative to its price and market, it didn't feel any worse in its build quality than the iQ and like my iQ, I never had any issues with it. It was a trade off though, as I gained DAB and a reversing camera in the Aygo. My main gripe with the Aygo x-shift was the gear box. It's not great in auto mode and much more pleasant in manual mode and the paddles made that mode convenient to use. The x-shift keeps the emissions down though compared to a more traditional auto box, so my Aygo x-shift was tax free like the manual. I've now left Toyota after nine years and have got a 2018 Kia Picanto 3 auto.